Apex Legends was freshly released earlier in the week, with thousands of gamers changing titles to give AL a chance. With the numbers that EA Games has been seeing, Apex Legends is here to stay. 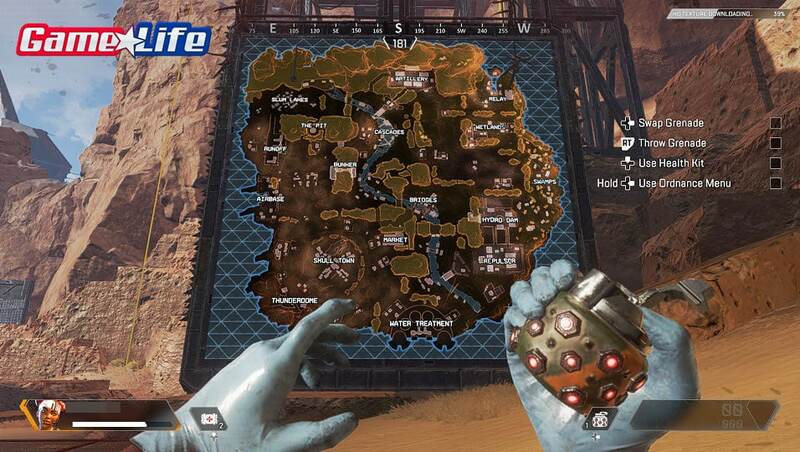 If you just downloaded the game and need a little help understanding the mechanics, this guide will teach you how to play Apex Legends Kings Canyon. Starting a new game is always exciting. 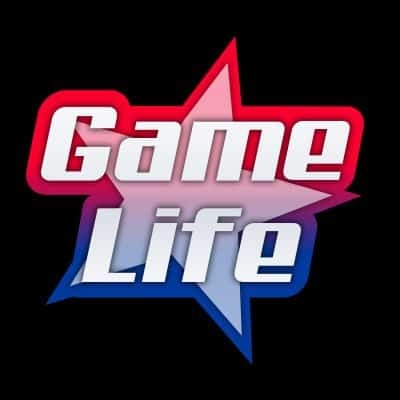 It’s a time that gamers can either love or hate, but nonetheless, its an exciting time. From figuring out new characters and their special abilities, to understanding the map and key location points. 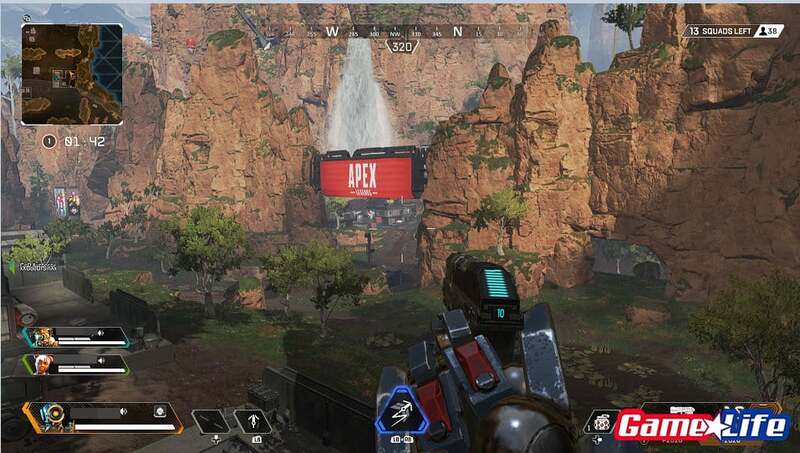 EA Games Apex Legends has received a massive following, with many gamers dropping their previous game and jumping on board the Apex Legends train. Multiplayer games have become a little more complicating than we’re use to. With character specials, new manoeuvres, new map layouts, and even new games mode can all be overwhelming. Apex Legends fits right in, with an array of new features and items concepts, even an experienced gamer might have a hard time following along. Here’s everything you need to know how to play Apex Legends. The idea behind the characters in Apex Legends is that they are Legends. Legends are playable characters with special abilities that you can play in the Battle Royale mode. This is completely oppositie of what games like, Fortnite Battle Royale, Call of Duty Blackout or even CS:GO Danger Zone have. It’s the first Battle Royale game to offer this unique twist to the game-play, which many gamers have been praising EA Games for. 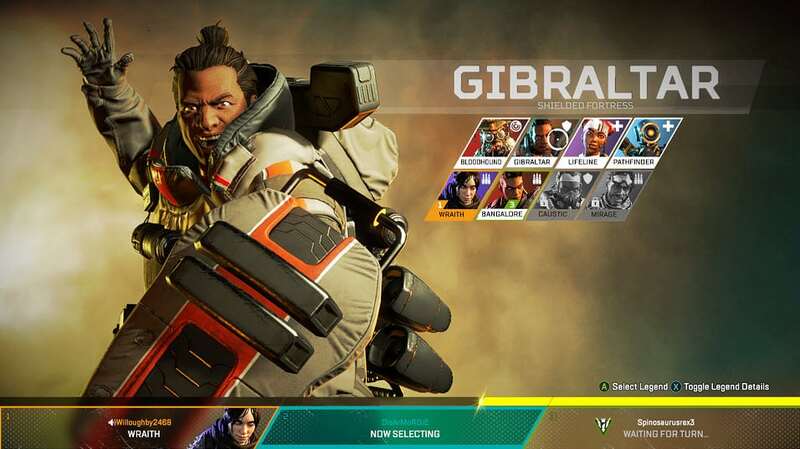 There are eight characters to choose from in Apex Legends character screen. EA Games was clever enough to keep two of these characters as “locked”. Technically there’s only 6 characters to choose from at the beginning. In order to unlock the other two characters you have two choices, spend money to buy tokens and unlock them, or simply play the game a lot in order to accumulated enough points to unlock them. Anita Williams aka “BANGALORE” is a professional solider character. Her Tactical ability is a Smoke Launcher which is great for intense and tight situations where you need coverage and movement. If you want to avoid that annoying sniper on the hill, or that one group that’s camping in a building, the smoke launcher can help aleviate the situation and cause distractions. Passive ability is Double time which allows Bangalore to move faster while being shot at. Bangalore’s Ultimate Ability is the Rolling Thunder which is essentially an air strike. If there’s an area that you know if being held down, the Bangalore can use her Rolling thunder to clear areas out and push the enemy line back. Her abilities are great for aggressive slayers looking to maximize their kills in a game. Bloodhound is a mysterious character as there are a lot of unknowns. No one knows Bloodhound’s real name or where he’s from. His Tactical Ability is the Eye of the Allfather, which allows him to see footprints on the ground of where the enemy has just been. It’s extremely useful when getting into new areas as you will have a hint of where the enemy is at. The player in control of Bloodhound can even mark the area where his teammates can see the enemy footprint. Bloodhound’s Passive Ability allows Bloodhound to have a sort of vision scope in close proximity of nearby enemies. He’s able to see through walls or large objects to identify any enemies threats. This is great for when you’re unsure if there’s enemies nearby, and if there are enemies nearby, you’ll see their exact location. Possibly the best Ultimate Ability in the game, Bloodhound’s “Beast of the Hunt” is exactly that. A power-generated enhancement of your visuals. This allows you to move faster, especially strafing. You’re also able to highlight your enemy which appears “RED” on your screen; hard to miss when everything on your screen is greyed out. Alexander Nox aka “CAUSTIC” is a Toxic Trapper. His Tactical Ability is the Nox Gas Trap. You’re able to place down six gas canisters which can be activated by bullet damage or set off by enemy movement. This is highly useful when guarding an area, or enclosed in a building with each entrance guarded by the gas canister. This will allow your teammates to be place in different positions of a building that you’re holding down. With Caustic Passive Ability, his Nox Vision (as it’s called) will allow him to see throw the gas trap that he has set up in an area, thus, giving him an advtanage moving through the gas (bcause he has a gas mask) and killing the enemies with ease. Caustic Ultimate Ability is a Nox Gas Grenade which he can throw in a area to create a large amount of gas. This is useful where you know enemies are either camping, or moving. Caustic is a good choice for the aggressive slayer who wants to get a lot of kills. Makoa Gibraltar aka Gibraltar is a Shielded Fortress. His Tactical Ability is called the “Dome of Protection”. Possibly the most tactical character in the game, his main priority is to shield and protect his teammates. The Dome of Protection is useful in all combat situations. It’s also extremely useful after a gun fight against another team; the Gibraltar can use the Dome of Protection to allow his teammates to heal or be picked up after falling. The ability lasts for 15 seconds. Gibraltar’s Passive Ability is the Gun Shield, which he can enable or disable. What the Gun Shield does is give the Gibraltar the ability to create a small force field in front of him while aiming down site. Aiming down site enables the Gun Shield, and is useful in intense close quarters. The Gibraltar can also shield players behind him with the shield up. Gibraltar’s Ultimate Ability is the Defensive Bombardment, which is essentially an air strike, similar to Bangalore’s Ultimate ability, however, not as accurate. 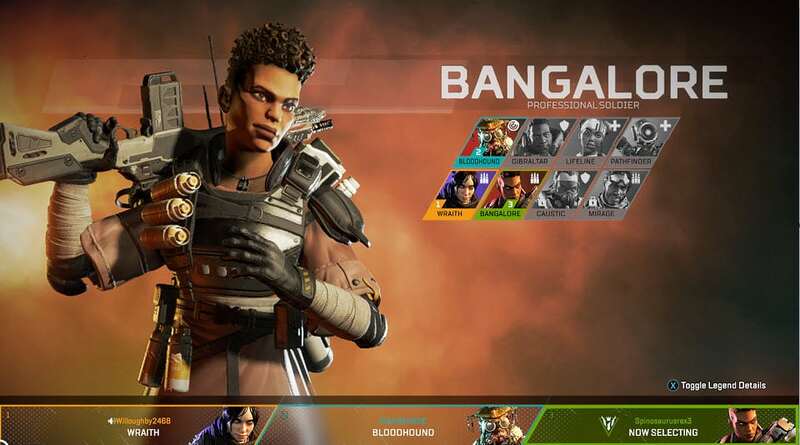 Ajay Che aka Lifeline is a Combat Medic, which she’s one of the more popular characters to choose in Apex Legends. Her Tactical Ability is a D.O.C. Hal Drone. The drone is a tiny device that Lifeline calls in when she or her teammates are injured. The drone then connects to the injured teammates and rejuvenates their health. Lifeline, combined with Gibraltar make an extremely health directed initiative as Gibraltar can use his Dome Protection while Lifeline uses her Healing Drone. Lifeline also has a Passive Ability called Combat Medic. Essentially, when a teammate falls down, Lifeline can revive the fallen teammate faster while being protection by a shield. As well, healing items are 25% faster when used. This ability is extremely useful during long distance gun fights where Lifeline will be able to revive fallen teammates shot down by snipers. Her Ultimate Ability is the care package, which can be called anywhere on the map, and emits high-quality defense gear. Elliott Witt aka Mirage is a Holographic Trickster. His Tactical Ability is called Psyche Out, which allows Mirage to send out a “fake” body as a decoy in order to mess with the enemies. A holographic body leaves Mirage’s body and runs out in the open. The idea is to get enemies to reveal their locations by spotting at the dummy body. This is extremely useful in areas that are not scoped out by your party. Or you can drag in enemies to your spot with the Psyche Out. Mirage has a Passive Ability called Encore! what this Passive Ability does is automatically drops a decoy of Mirage and cloaks him for 5 second when knocked down. this is useful in close gun fights which can throw off the enemy while he’s being shot at. It also gives you the chance to be healed or picked up by your teammates. Mirage Ultimate Ability is called the Vanishing Act. It’s like the Psyche Out, but version 2.0. The Vanishing Act deploys several holographic decoys of Mirage to confuse and distract the enemy while Mirage cloaks. Great for any situation. MRVN aka Pathfinder is a Forward Scott. Pathfinder is a utility character, enabling his teammates to go to areas faster through a variety of abilities. Pathfinder Tactical Ability is the Grappling Hook. It’s extremely effective to get to areas quickly, and other areas that might not be reachable. This is extremely efficient to get to the top of buildings, or to gran onto an enemy and wheel them in for a quick kill. Pathfinder Passive Ability is called “Insider Knowledge”. It’s a simple ability, but rather powerful and gives you advantage over other teams that don’t have Pathfinder as part of their squad. The “Insider Knowledge” essentially allows Pathfinder to see where the next Ring location will be. By simply pushing the select button, Pathfinder will be able to tell where the next ring is going to be. 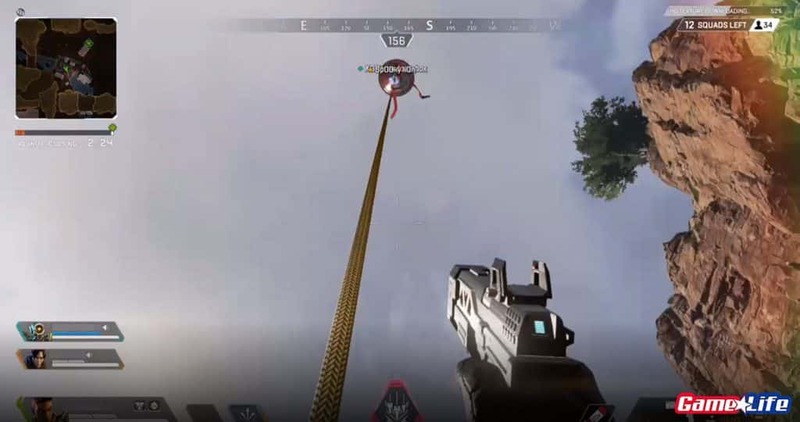 The last Pathfinder Ultimate Ability is the Zipline Gun. It’s used to create a zipline from one side of the map to the other. It does have it’s limitations in length, but very practical to escape a tough enemy squad, or even get to the next Ring area. Wraith is a Interdimensional Skirmisher, and probably the most popular character. 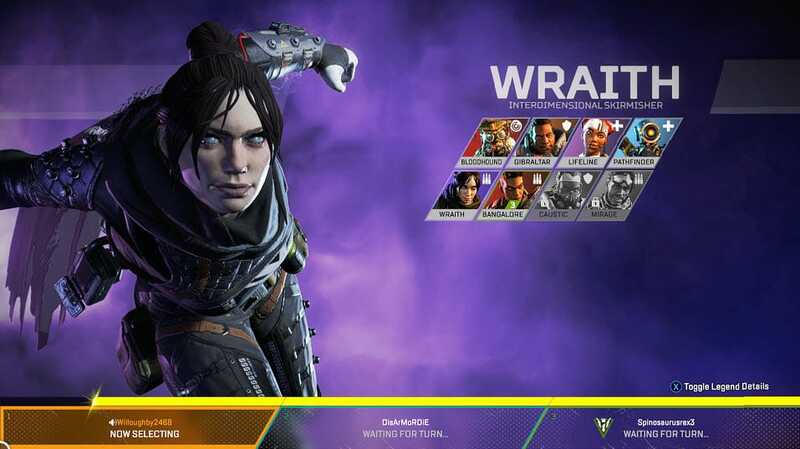 Popular Twitch streamers like Summit1g have stated that Wraith is the best Apex Legends Character in the game. This is probably due to her Interdimensional abilities. Wraith Tactical Ability is called “Into the Void”, which allows her to quickly reposition herself through a safe dimension (void space). This allows her to free herself in complex situations, or while being under heavy gun firing. Wraith’s Passive Ability is called “Voices from the Void”. It let’s her conscious talk to her and let hr know when enemies are nearby. Wraith Ultimate Ability is the Dimensional Rift. It’s the greatest way to reposition using a portal , which can be used by your whole team. This is great for tricky situations where you need to escape enemies or an enclosing danger zone. Throughout Kings Canyon, players will notice giant Red Balloons in the sky with an attached rope. These are placed on the map for a reason. It’s essentially your redeployment utility. They are used to send you back in the air so that you can reach new areas faster. Other uses for them is to escape the danger zone closing in. In order to use these Redeployment Centers, you would need to grab onto the yellow cord which will send you to the top of the center and then deploy you immediately in the air where you can guide your character to the new desired spot. The deployment centers are also great for finding new looting areas that you haven’t visited before. It’s also great to use when you either spot another enemy squad to catch them by surprise. Be careful, as enemies can still try and shoot you while you’re sliding up the yellow rope. Although, the speed at which you slide up is quite fast, so dying by enemy bullets is highly unlikely. Unlike traditional Battle Royale games, in Apex Legends, the characters are built to b agile. You are able to jump from any height and not incur damages, which is great to have because you can go anywhere and jump down a tall building without getting hurt. Players are also able to run up walls and jump to get on top of roofs. These options are great when you’re trying to run away from enemies. You can either jump down a cliff without inflicting damage, or climb up to a roof top and startle an enemy other the other side of the building. EA dedicated to take the same concept as Fortnite Battle Royale and introduce the deploy ship at the beginning. However, they’ve added a twist. At the beginning of every match, there’s a Supply Ship that appears randomly on the map. The giant supply ship is easily recognizable and it’s a common idea for most squads to project toward the supply ship and land on it. The reason everyone targets the supply ship is because it holds a lot of prestigious items, from high power weapons to Purple colored armor (Purple is the second highest level of armor which means it’s very strong). Expect many squads to be targeting the Supply Ship and be ready for a battle. Throughout the map are Loot drones. They are little robots in the same of a triangle with legs. Typically found in odd spots, such as deep corners of a building. They light up and make a strange sound, so it’s not too difficult to spot them. When you see a Loot Drone, you can melee it to break the drone and release the loot it holds. The Loot drones typically hold high grade armor, so make sure to stay attentive when you enter any building as you never know when you’ll find a Loot Drone. Additionally, you can purchase these Loot Drones in the store. Each Apex Legends character has their own personal Finisher moves. 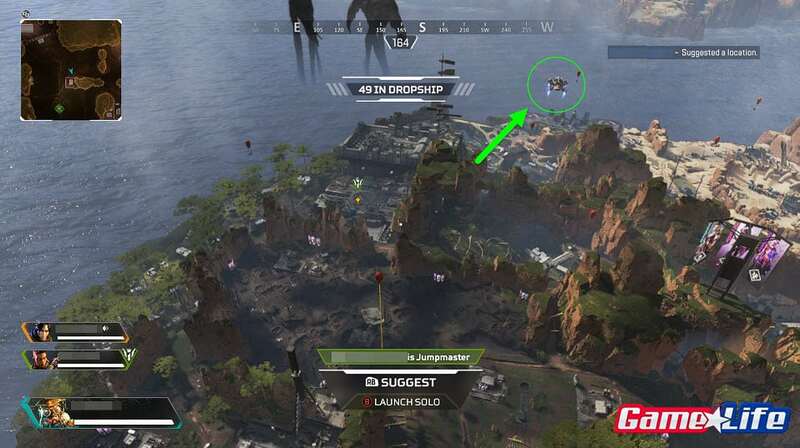 When new gamers start playing Apex Legends, they notice one thing after dropping an enemy down. It takes a lot of bullets to finish them off. Sometimes, players don’t even have a chance to finish off their downed enemy without behind shot themselves. This is the reason for Finishers. 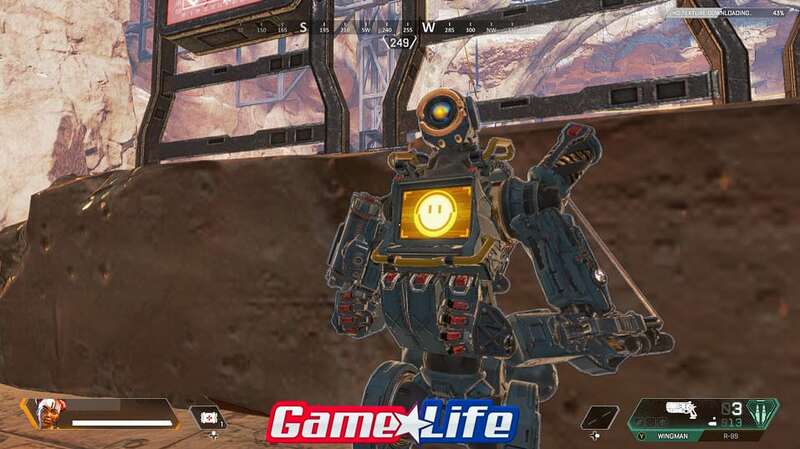 The way to use a Finisher move from your favorite Apex Legends is to rush to your downed enemy and press the reload button (whichever that is on your platform). What will happen is the Apex Legends character will perform a fancy looking “finishing move”, typically lasts 3 seconds. Instead of wasting bullets next time you down an enemy, try using the “Finisher Move” and see how it looks like. The downed player will also experience the finishing move. EA Games introduced the “Advanced Communication System” for a first in Battle Royale. It’s a “ping system” which allows you to use various different signals to communicate with your teammates without the need to use your mic. The ping system is fairly easy to use and there’s many different signals you can give. For certain platforms, specifically consoles, if you press the right top button (RB), you’ll be able to point to a spot and tag it, letting your teammates know where you want to go. There are other actions such as requesting various items from your teammates, or spotting weapons and letting them know about it. The most useful ping is the “Enemy Ping”, which gives away the enemy on the map, and tags them with a red ping, which allows the other teammates on your team to see where the enemy is at. It’s really a superior was of communicating as opposed to using a microphone where you might have a hard time describing where an enemy is. However, it does take some time to master the ping system, as it requires some steps before you successfully tag an enemy. Apex Legends is incredibly fun. To some, it has become an addiction already. 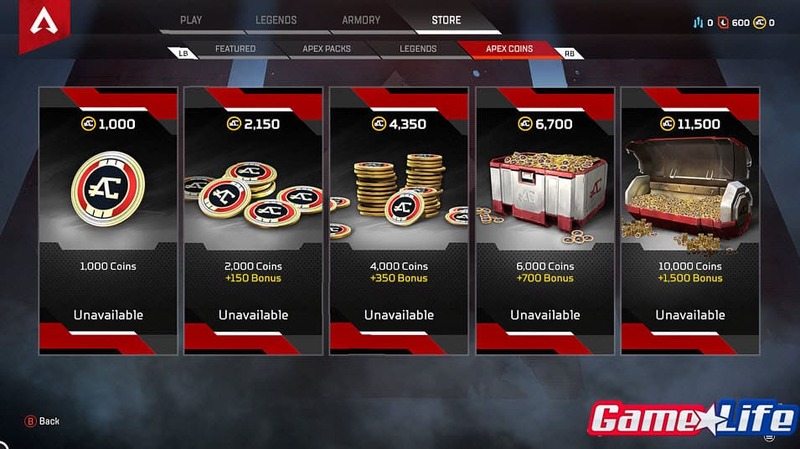 But for those of us that don’t have the time to grind it out and collect Legends Tokens, there’s an Apex Legens Store where you can buy Apex Coins in order to purchase some really cool Legendary items. Accessing it from the main menu, the store is split up into four tabs. The Featured tab shows all the neat Legendary items that EA Games is suggesting to buy. There’s also “Exclusive” items only available in the store, so it’s your chance to stand out from the crowd. 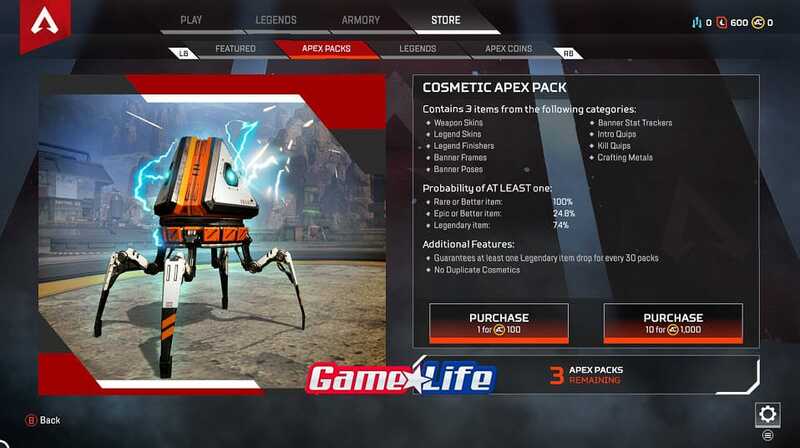 Next you have Apex Packs, which are Cosmetic Apex packs. Each Cosmetic Apex Packs contain 3 items from certain categories. You have the probability of at least one rare or better item, and small chances of Epic/Legendarily items. Additional features included one Legendary item for every 30 packs and no duplicate cosmetics, so EA Games have figured out a way to make sure your money is spent right. The Legends tab is where you can purchase special characters. In this case, there’s only two at the moment. But EA Games will definitely be adding some more throughout the seasons. For now the two characters are Caustic and Mirage. For 12000 Apex Tokens you can purchase one of them. If you don’t have the patience to grind it out and play the game to build up your Apex Tokens, then you can purchase Apex Coins and convert them which will cost 750 coins. The last tab is the Apex Coins tab. Here, you have a break down of the different Apex Token tiers starting from 1,000 coins all the way to 10,000 coins. The higher amount of coins you get, the more of a bonus you shall receive. For example, if you only get 2,000 Apex coins, you get an additional 150 coins. But if you purchase 4,000 coins, you get 350 additional coins to have in total of 4,350 coins. It depends on what you’re planning to do in the game. 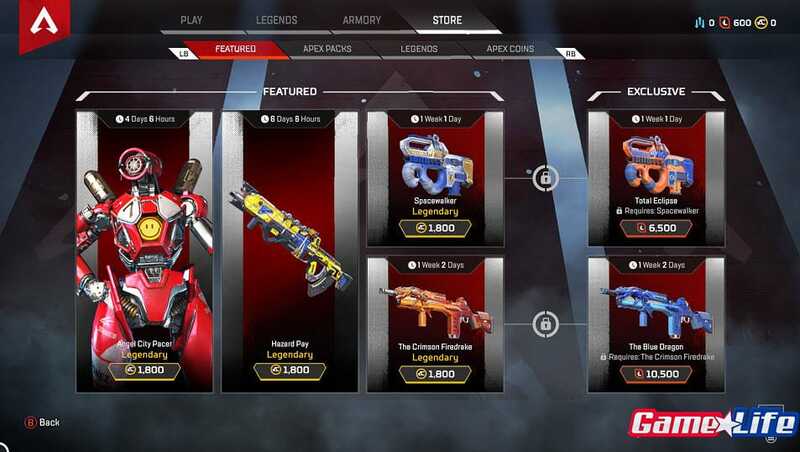 In the end, it’s up to you if you want to spend to get certain items faster, or exclusive items from the Apex Legends Store.